While Nintendo's Switch Online service has a long way to go before it matches the value of PlayStation Plus or Xbox Live Gold (although that's also a matter of opinion, I suppose), it does have one thing those other services don't: access to classic NES games. Kid Icarus was one of the three games Nintendo released in 1986 in Japan for the Famicom Disc System - and later for the Nintendo Entertainment System in the west - that really helped solidify their dominance in the game industry. This, along with Metroid and The Legend of Zelda, were some of the first games for a home console that really required an extensive playthrough - so much so that the Famicom version offered loadable save states (the U.S. version incorporated a password system - and not a very good one). Follow Sportskeeda for the latest Gaming news. In Icarus, a title based on Greek mythology, the angel Pit attempts to escape from the Underworld and free the goddess Palutena from the imprisonment of Medusa. While it's certainly a good game in its own right, it wasn't as critically well received as its two contemporaries and hasn't seen much in the way of sequels, remakes or follow-ups. Still, it has a loyal fanbase and is certainly worth trying out if you haven't already. 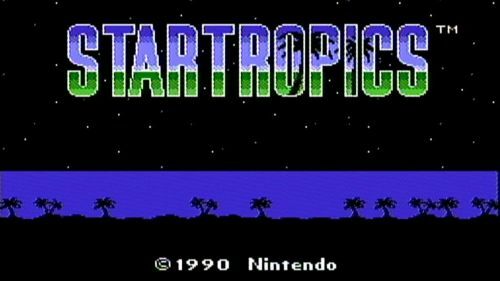 Speaking of remakes, StarTropics was one of the games I mentioned in my "10 under-the-radar NES gems that should be remade now" a week or so back (sorry for the shameless plug). Released in 1990, StarTropics is a bit of a hybrid of The Legend of Zelda and Final Fantasy, with players engaging in real-time combat (with, among other weapons, a yo-yo of all things) while also traveling to villages and speaking to townspeople for clues. It was successful enough that it spawned a sequel, Zoda's Revenge: StarTropics II, but the franchise hasn't really been revisited since - other than an addition to the Wii Virtual Console in 2008. It actually still holds up really well and is a lot of fun. Both Kirby's Adventure and Zelda II: The Adventure of Link have new "special" editions added to the service, as well. The new Kirby will let ambitious players start on Extra Game, the especially difficult mode that's unlocked after completing the game once. It also unlocks the Sound Test feature, if that's your thing. Zelda II's new edition starts players off with all of Link's stats - Attack, Magic, and Life - completely maxed out. You'll still need to find all of the items in the game, but doing so should be a lot easier - especially once you reach Death Mountain, which notoriously has a big spike in difficulty compared to the earlier palaces in the game because Shigeru Miyamoto apparently hated everybody in 1987. If you happen to be in Japan and have the service, you'll also have access to Kid Icarus, as well as Fire Emblem and Yie Ar Kung Fu. All the games on the service are available to play at any time as long as you have an active membership. Subscriptions prices are $4 a month, $8 for three months, or $20 for an entire year (trust me, go with that) - or whatever that translates to in the currency of your country. Are you a Switch Online member? Are you excited about playing these new games? Sound off below!